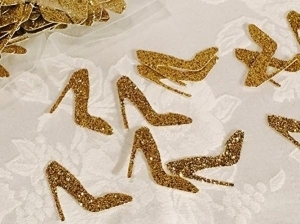 These little high heel shoe confetti pieces will add a BIG Impact to your stylish event! Each piece measures approximately 1" x 1". Please note that the glitter is on one side only.